Image copyrightUnescoImage captionThe UN cultural agency, Unesco, has condemned the destruction of Palmyra as a war crime. Syrian government forces have reached the edge of the ancient city of Palmyra after driving back Islamic State (IS) militants, officials and activists say. One soldier told state TV they were only 850m (half a mile) away from the Unesco World Heritage site and hoped to recapture it within hours. 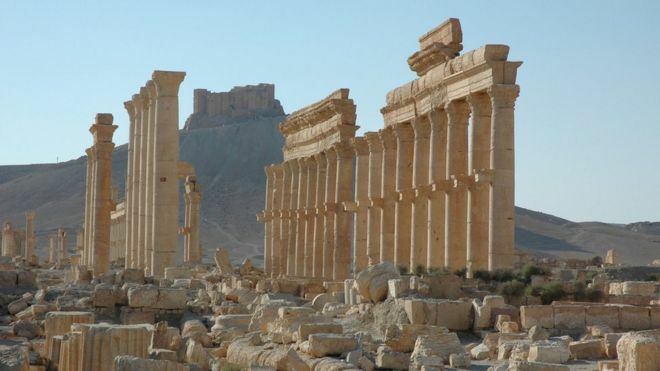 IS seized the ruins of Palmyra and the adjoining modern town in May. It subsequently destroyed two 2,000-year-old temples, an arch and funerary towers, drawing global outrage. The jihadist group, which has also demolished several world-renowned pre-Islamic sites in neighbouring Iraq, believes that such structures are idolatrous. 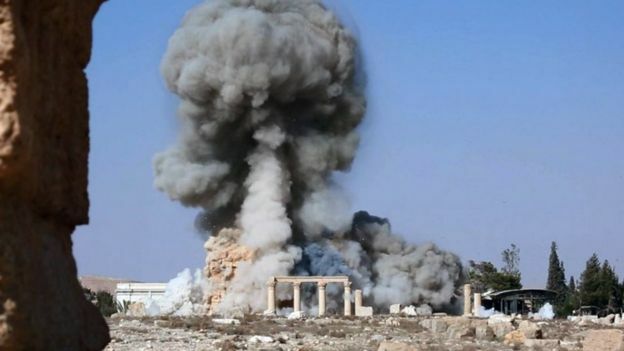 Unesco, the UN’s cultural agency, has condemned the destruction as a war crime. The state news agency, Sana, reported on Wednesday that troops, backed by pro-government militiamen, had seized high ground to the west and south-west of Palmyra and moved towards the “Palmyra Triangle” road junction after “eliminating” IS militants in the area. “We are 850 metres from Palmyra city. In a few hours [government] forces will declare the city of Palmyra completely secure, God willing,” a soldier told Ikhbariya TV in a live broadcast. Another soldier said they had cleared about 120 explosive devices from the Palmyra Triangle as they approached the junction from the west.